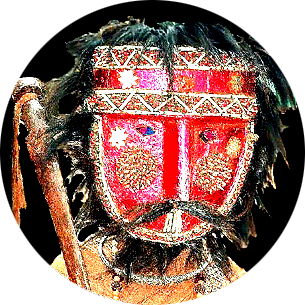 Half-demon/half Siva, Budia is a central Gavari figure distinguished by his dramatic horse hair-fringed mask, magic staff and twin Rai devi consorts. 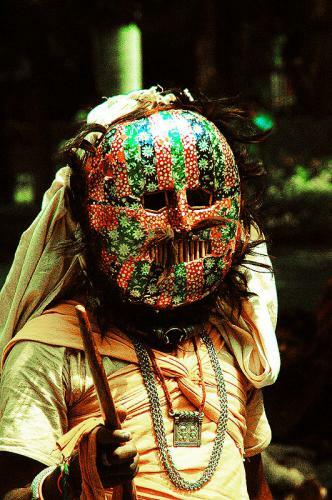 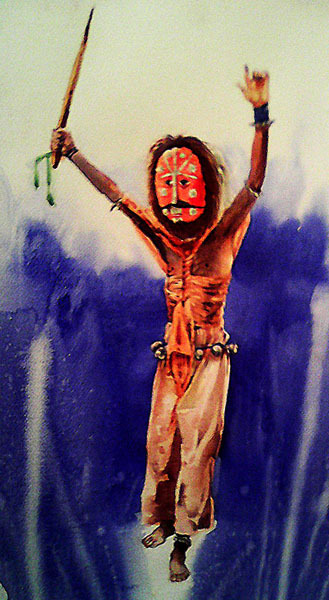 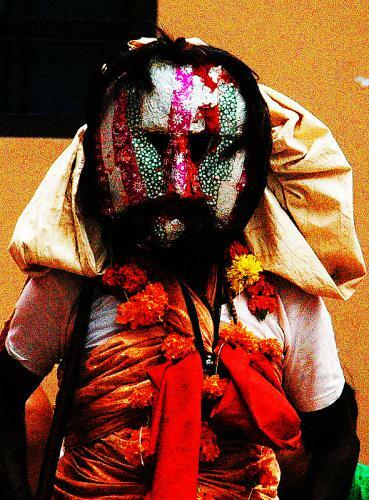 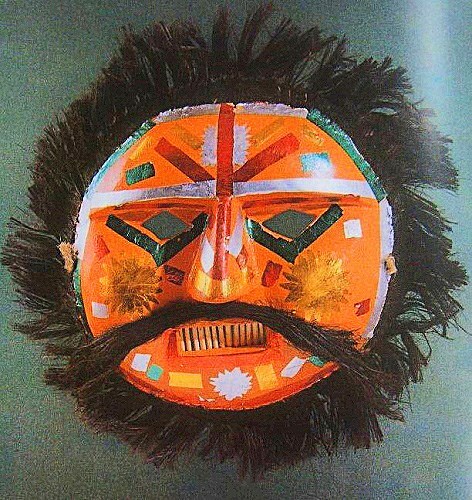 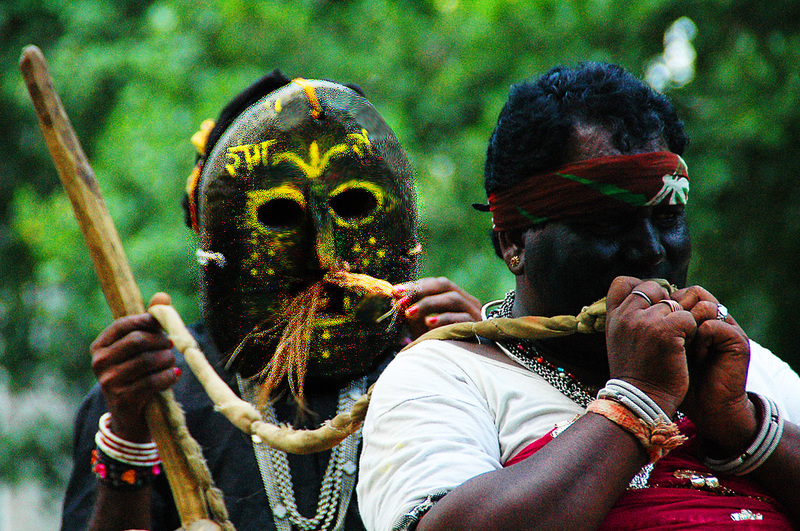 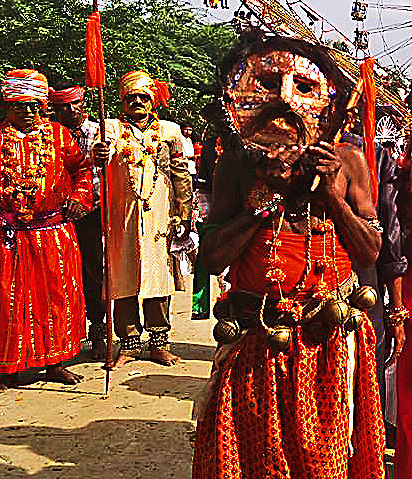 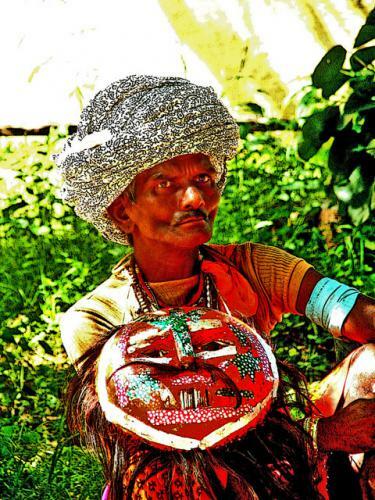 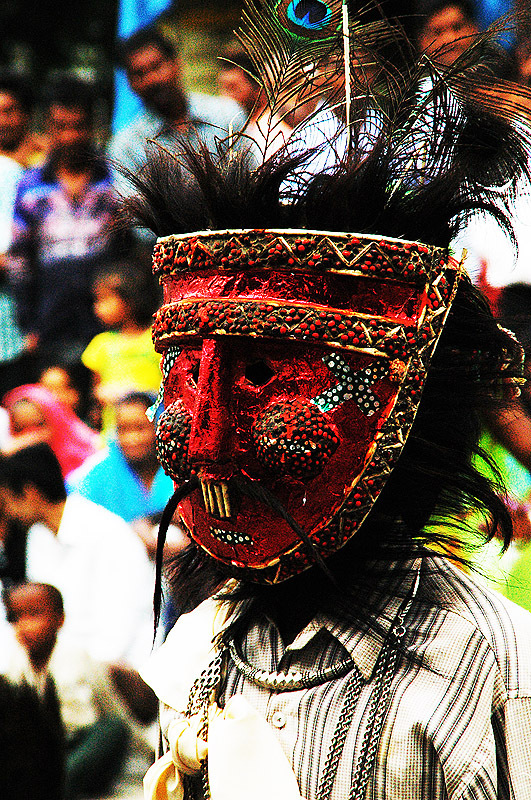 He is seen as a sacred guardian and either circles the arena to protect the numinous energy the shamans & dancers are invoking or sits at its edge with his consorts to distribute blessings and accept offerings.Every Gavari village has its own iconic Budia mask and some date back several generations. 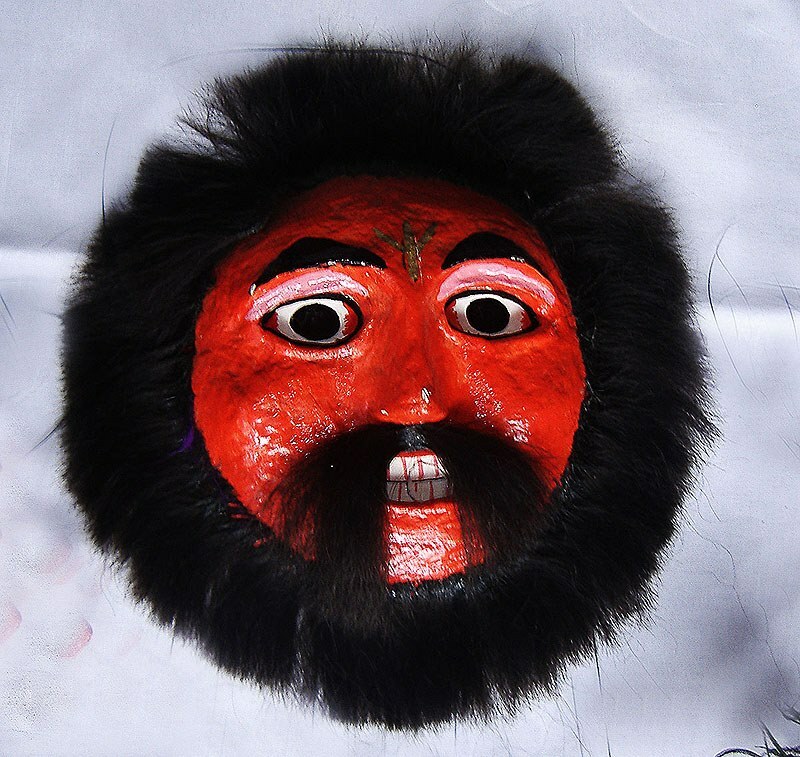 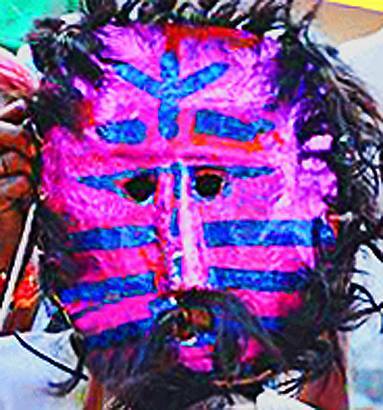 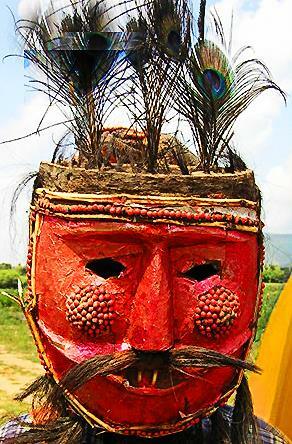 Different village mask makers have different visions of his being ranging from stern & frightening to bemused & reproving.